In any situation, you have to pick the weapon that does the most damage to get the job done properly. 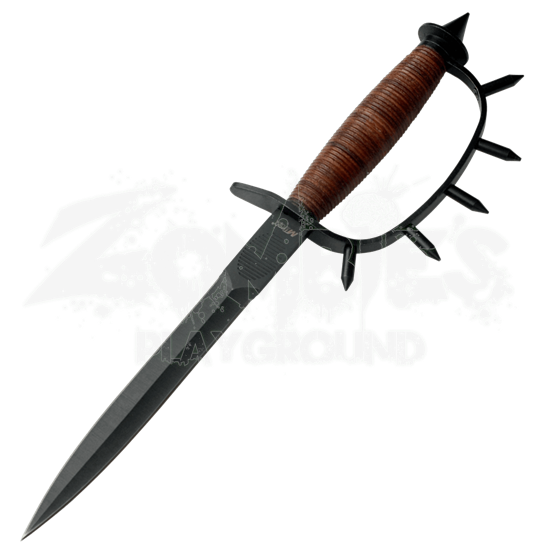 Against an armored foe, this Spike Handled Trench Knife is king, especially if you plan on getting up close and dirty for long periods of time! During the era of trench warfare, close combat was unavoidable, and a knife like this proved to make a soldier into one insurmountable foe. This knife features several points of attack, giving its wielder nothing but options. The thin, needle-point blade is double-edged and designed for delivering a vicious stab, while the D-ring guard is lined with pointed spikes, allowing the wielder to punch and do just as much damage as a cut or a thrust. The D-ring guard also provides a modicum of defense, helping to keep the wielders hand safe. The grip is wrapped in brown leather to provide a secure grip, while the blade is made entirely from 440 stainless steel to ensure its overall strength. The knife comes complete with a black leather sheath that features a built-in belt-loop for easy carrying and storage. 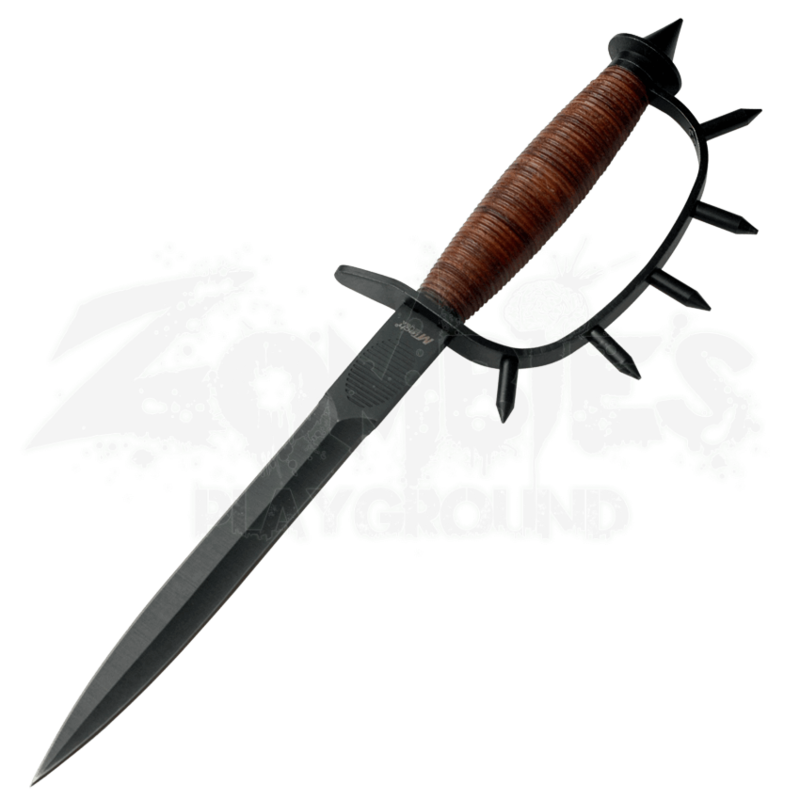 Small yet insidious, this Spike Handled Trench Knife is a wicked weapon to have, serving as a wildly effective defense against personal attack. After all, who would want to get punched by someone wielding this many spikes?